The best living rooms are the ones that let in light and air. One way to do that is by making sure your living windows are properly outfitted with window treatments in NJ. If you are a homeowner who keeps forgetting this part of the interior decor, then it is high time to put them on top of your to-do list. To get you warmed up to the task, we’re happy to give you a few insider’s tips on curtains and drapes. It’s your choice whether to install curtains, shutters, shades, or blinds for your living room window. If you ask, we’d suggest curtains and drapes anytime. Curtains that hang beautifully and are chosen carefully can set the tone of your living room. They offer a presence that bare and austere windows cannot provide. While contemporary options such as shutters and blinds cannot duplicate the textural contrasts and subtleties of folded fabric, they’re still a good choice. But nothing speaks drama and elegance than the theatrical folds of fabric swaying with the wind. There is nothing more grandiose than folds of linen framing tall windows. You have a wide range of materials and styles to choose from and it is up to you to decide which suits your fancy and what your budget will allow. You may also find living room curtain inspirations from other homes. The function of the room should dictate the color and design of the curtains you’ll be putting up. You may be partial to solid colors, but when considering the theme of the rest of the room, would printed curtains be more appropriate? For homeowners who want to play it safe, neutral colors are always befitting. Grays and dark blues are preferable if you wish the room to keep away the light. Darker colors belong to rooms you want to keep private and obscure. If you are designing a brighter space, try going for tones of white, beige, and lighter shades of gray. Solid curtain collections are versatile in their applications so it is advisable to start there. When you are feeling more adventurous or wish for the draperies to be the focal point of your living room, then explore printed designs and custom patterns that will capture your guests’ attention. You can get away with printed compositions for as long as it fits the overall theme and if you are confident with your choice. When choosing drapery for the living room you must consider the material or type of fabric carefully. 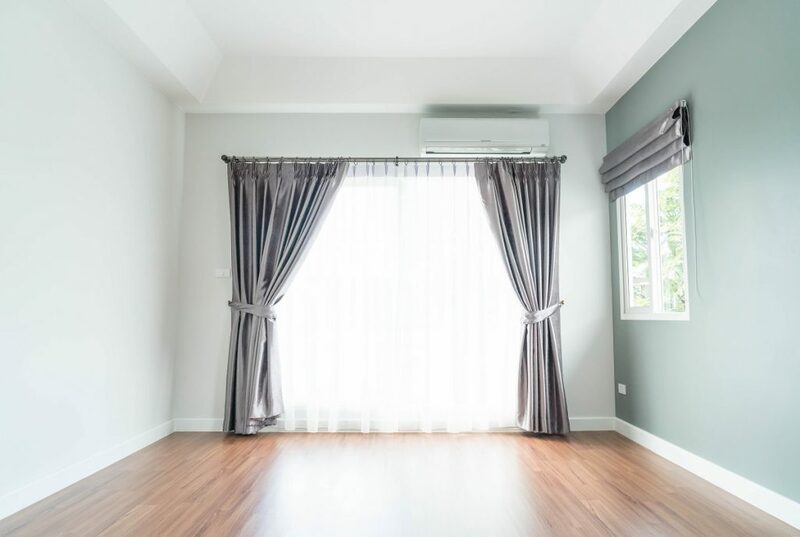 For instance, silk curtains may be desirable because of their light diffusing properties, but they are more prone to damage from ultraviolet radiation. 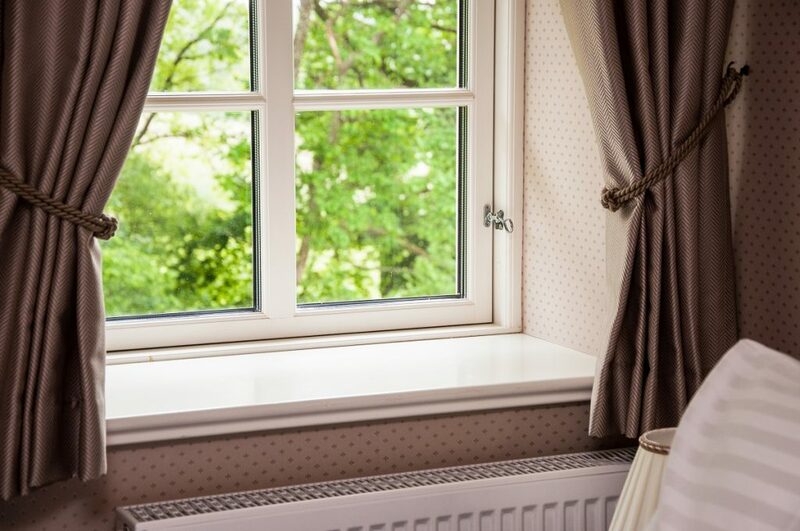 For windows receiving direct sunlight for many hours a day, you can choose line-silk drapes instead. However, if there is a chance water might be in contact with the drapes, you must choose a different material. Water spots can be difficult to remove from line-silk fabric. Curtains are classic window treatments. They can be exquisite, exciting, elegant, and exotic. Your choice will bring the occupants of the room to a place you want them to be in, and so it is up to you to create the perfect ambiance.